Facebook IPO Video – do you like it? 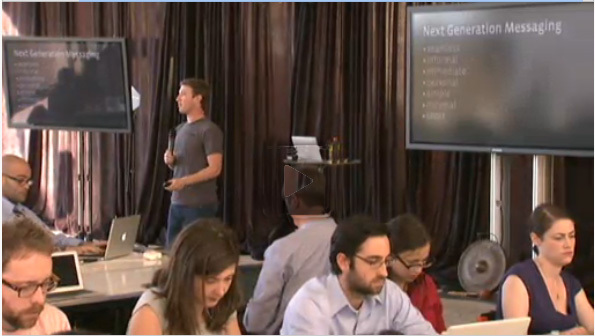 The Facebook IPO video is an excellent video production, but did they produce it because they were afraid of Mark Zuckerberg going off script in a traditional IPO road show presentation? I have produced and attended many investor road show presentations over the years and it was always fun to watch the Investment bank managers in the back of the room pull their hair out as the CEO diverged from their well prepared and practiced script. Maybe this Facebook video presentation is the answer? But does it sidestep the primary reason for the IR Road Show – for the potential investors to get a first hand, face to face view of the leadership qualities of the company executives? I don’t think I’d invest in Facebook even if I had the opportunity to buy the crazy prices the IPO numbers will hit, but I would invest in the video production company that produced the Facebook IPO video. Posted in Facebook, General, Meetings, PowerPoint, Presentations, Technology | Comments Off on Facebook IPO Video – do you like it?